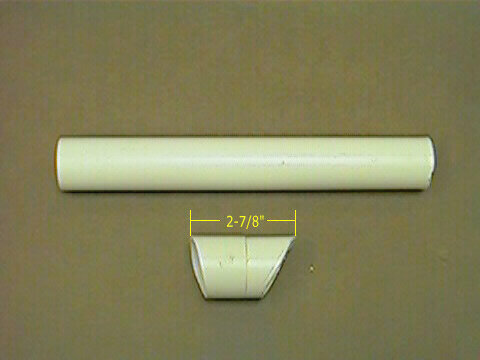 8- 12" long strips flat styrene stock 1/8" x 1/4"
4- 12" long strips flat styrene stock 1/8" x 3/16"
1- 6" length of basswood stock 3/8" x 1/2"
1- 6" strip of basswood stock 3/32" x 1"
The first step is to make the shroud. 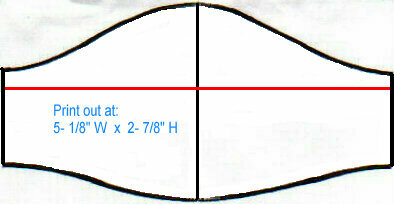 for the front of the shroud is different than for the back of the shroud. 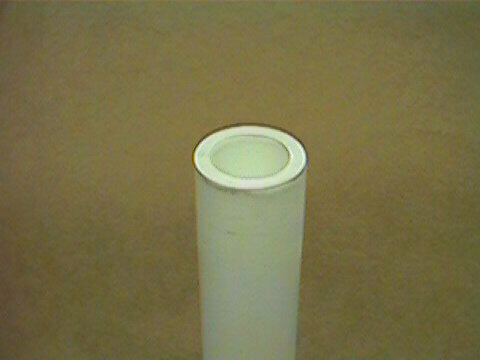 of each tube with the straight edge facing out, as shown. 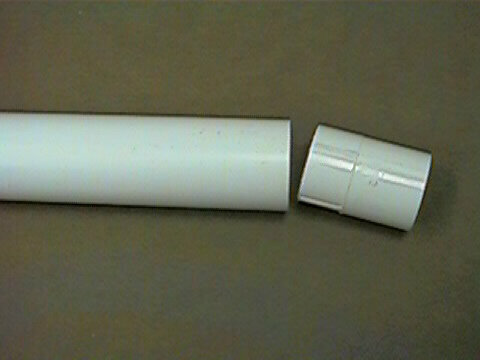 Next, cut the main tube to length. 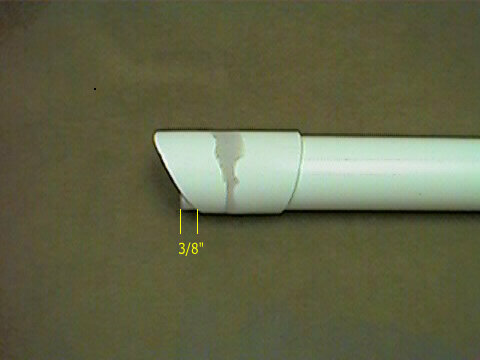 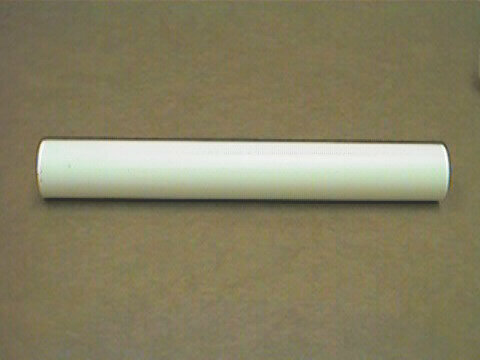 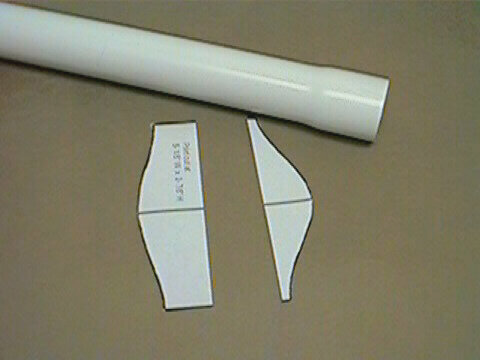 Measure and cut one of the 1-1/2" PVC tubes to 10" length. 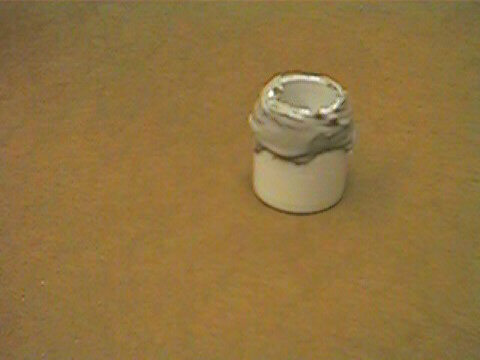 (ribs facing into the tube)and glue in place. 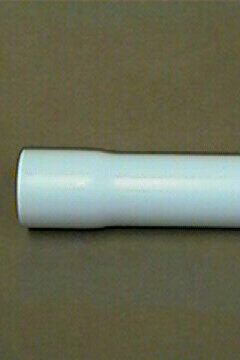 The ribs on the adapter keep it centered in the tube. 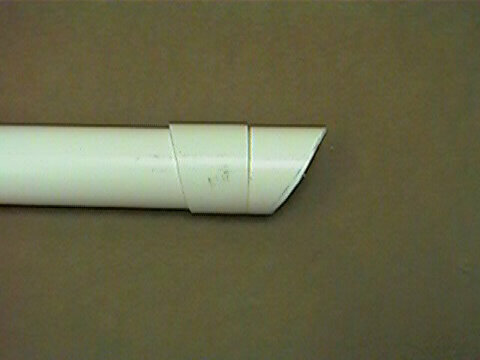 Fill the gap around the adapter with body filler. 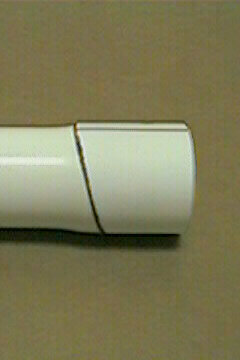 Once the body filler has hardened, sand it smooth. 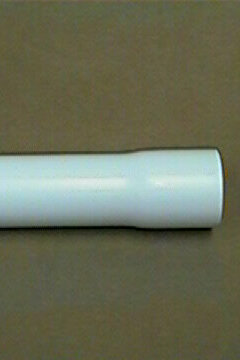 other part of the "emitter" will be minimal. 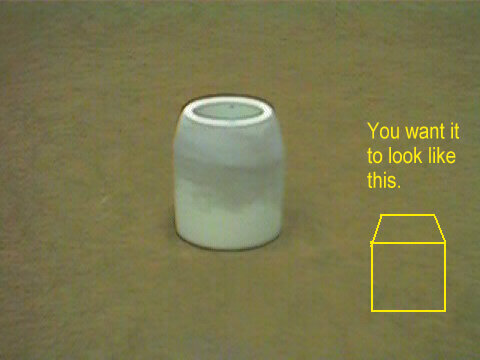 aside for now. 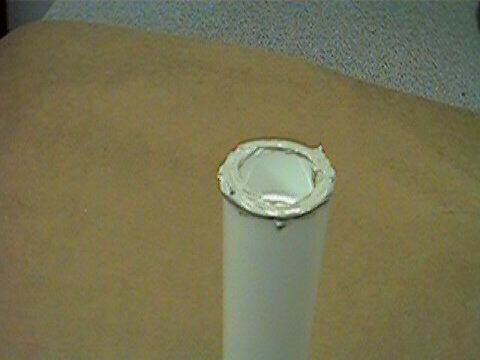 Do not glue them together yet. 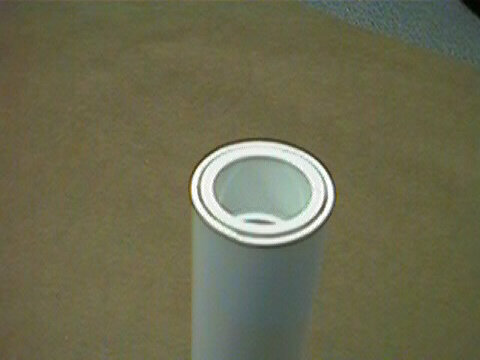 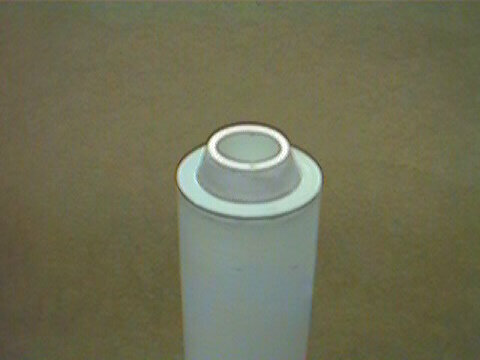 the main tube out of the front of the shroud. 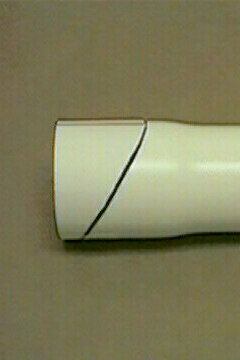 body filler, and sand smooth.